When your otherwise well-behaved dog consistently gets into “trouble” when you’re away from home, there is a good chance he’s suffering from separation anxiety. Symptoms of separation anxiety can include one or more of the following: barking, chewing, house soiling, destructive behavior and escapist activities. Isn’t he just being a jerk? No. Contrary to human theory, the dog is not trying to get even with you for leaving. As humans, we often think that dogs are little furry people who experience the same thoughts and emotions that we do. In reality, dogs don’t think ahead in time, nor do they have the capacity to plot these wonderful schemes to get your attention. Your dog is simply thinking that he’s stressed and he’s going to do whatever activity makes him feel better – often chewing, peeing or barking. The “guilty” look he has on his face when you come home is actually a submissive look because he does know one of two things from his past experience. He might know that he usually gets in trouble when you come home, or he might know that he gets in trouble when there are pieces of the couch all over the floor when you come home. Yes. Separation anxiety is particularly common in dogs that have recently moved, changed owners, or had any sort of upheaval in their life. Quite simply, you don’t. This is an extremely difficult step, especially for people who have a hard time accepting that the dog doesn’t have any ulterior motive. Regardless of what you believe the dog is thinking keep this in mind – your dog is acting out of anxiety. Anything that you do to increase his stress level will positively, without fail, make his anxiety worse. The next time you come home, your little one might have graduated from eating one chair to destroying the entire dining room set. If your dog has an extreme case of separation anxiety, it’s best to consult a professional. If he has hurt himself in any way you should definitely seek help. However, if that’s not the case, you can do a few simple things to improve your dog’s state of mind while you’re away. - Make sure he has plenty of stuff to do while you’re gone. Give him a couple of toys, bones, and maybe even a project in the form of a Kong toy or Buster Cube. - Keep in mind that the damage is usually done in the first few minutes that you’re gone. Kong toys stuffed with peanut butter and kibble could occupy him both physically and mentally for that period of time. By the time he’s done he won’t remember how stressed he was when you left. Try freezing the stuffed Kong! And if the Kong is too much work, just use a large baking sheet. - If your dog is crate-trained, put him in it. When a dog has been properly introduced to a crate, he’ll think of it as a safe den-like space. However, if your dog has a history of escapist behaviors, doesn’t love his crate, or if you’re not sure, do not use the crate. He might hurt his teeth or nails trying to get out. - Leave the TV or radio on a station with a lot of human voices. If you use the radio, stick to a news station. This is not to keep him company as much as it is to drown out noises from outside the home. Especially in an apartment building, if a dog hears voices midday, he’s likely to think it’s you – and get stressed out all over again when he realizes it’s not you coming home. - If your dog spends his day barking out the window at passing people (or anything else), close the shades. If you have any thought that he might tear the shades down, try to isolate him to a room that is away from the front of your house. The same applies for apartment dwellers. Most city dogs learn very quickly that barking at people in the hallway is exhausting work. However, if your pup is slow to bore, try keeping him out of the room where the door is located. - Don’t act like coming and going is a big deal. If you give your dog long good-byes and even longer hellos, you’re reinforcing his belief that this is an anxiety-provoking situation. When you leave, toss him a Kong and say a simple, “be right back.” When you return, ignore him as he jumps and barks and wags and just calmly say “hello there” as you wash your hands, close the windows and do normal human stuff for the first five minutes or so. A couple of minutes after your dog has calmed down, then you can give him a loving but still calm greeting. - Figure out what parts of your leaving ritual have become cues for your dog. Sometimes dogs show signs of agitation as early in the process as someone drying their hair, half an hour before they actually leave. Observe him closely, make a list of these cues, and spend a fair amount of time doing these “cues” when you aren’t leaving. If you really work on it, these cues quickly lose their importance in your pup’s mind. You can even walk around with your keys on your belt-loop if the keys are a big source of stress (and they usually are). 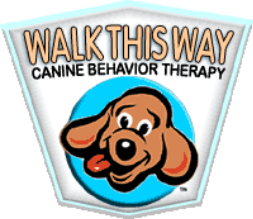 - Similar to desensitizing your dog to the cues that you’re leaving, you can now start to desensitize him to the actual leaving. Several times throughout the day, leave. And then come right back. Don’t worry so much about the duration of your absence as much as the frequency of your absences – for example, if you need to check the mail and take out the trash, turn that into two trips. Your dog learns a couple of things from this exercise. One is that your leaving doesn’t necessarily mean that you’re going to be gone for a long time. The other lesson is that you leave all the time, and things that happen all the time become routine. - It is recommended that during your process of rehabilitating your dog, he should never be allowed to experience the stress of a real absence. Unfortunately, for most people, this is completely unrealistic. I’ve seen countless dogs get over their stress while people still continue about their normal routines. If you can, have someone come over and walk him while you’re at work, take him to a doggie daycare, or come home during lunch to take him for a walk. If you’re someone who is home a lot, try and run your errands in several different sessions instead of one long one. Often people who work at home have more of a problem with rehabilitation than people who work away from the home because the dog is used to having someone around all of the time. - My last suggestion is to obedience train your dog. Take a class or do private in-home lessons. Obedience training strengthens the bond between you and your dog as well as giving him a big confidence boost. Sometimes a dog is experiencing such high levels of anxiety, it is necessary to put him on anti-anxiety medication for a few weeks during the behavior modification process. If you think your dog is at this level (if he won’t eat in your absence, and certainly if he has ever hurt himself trying to escape the home), have him evaluated by your trainer who will in turn ask your veterinarian to prescribe the appropriate medication.